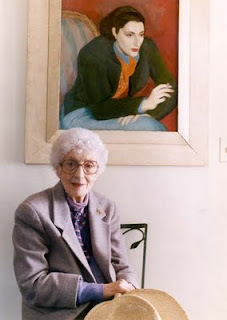 The winner of Story Circle Network's first annual Sarton Memoir Award will be announced at Stories from the Heart, the biannual SCN National Memoir Conference, at the Wyndham Hotel in Austin, Texas, April 13-15, 2012. The award is named in honor of May Sarton (1912-1995), the distinguished American poet, novelist, and author of twelve memoirs and journals. Readers have found Sarton's work to be inspiring, moving, and thought-provoking. While widely acclaimed for her fiction and poetry, Sarton’s best and most enduring work may lie in her journals. In these honest, probing accounts of her solitary life, she deals with such issues as aging, isolation, solitude, friendship, sexuality, self-doubt, success and failure, envy, love of nature, gratitude for life's simple pleasures, and the daily challenge of leading of a creative life. Much time and effort has been invested by many to establish this award project. Numerous entries were received in 2011 and submitted to two rounds of judging, first by volunteer SCN jurors and next by professional librarians not affiliated with SCN. We are looking forward with great anticipation to honoring the author of the best woman's memoir published in the United States and Canada, chosen from works submitted. For more information about the award and the SCN Conference, please visit StoryCircle.org/Conference/ and StoryCircle.org/SartonMemoirAward/. Consider joining this debut literary award presentation while attending a great conference, where women from around the country gather to celebrate their stories and their lives. Through writing, reading, listening, and sharing, they will discover how personal narrative is a healing art, how they can gather their memories and tell their stories. Readers, writers, storytellers, and any woman with a past, present, and future are welcome. There will be opportunities to explore difficult or hidden issues, expand relationships with other women, and discover different modes and media—such as art, dance, and drama—for sharing our stories. Weren't you on the jury for this award, Dani? How exciting. This sounds like a terrific conference and I am looking forward to hearing who wins this award. Thanks for the information. Not on this one, Elle. Maryann, aren't you a member of SCN? You've been to the conference in the past, right? Sigh ... five words that will never be written about my work: inspiring, moving, and thought provoking. This is awesome. Thanks for letting us know.